Your favourite cookies are now online! We know life is busy, so let us help you. Click to order for pick up or delivery in Winnipeg. Make a splash! 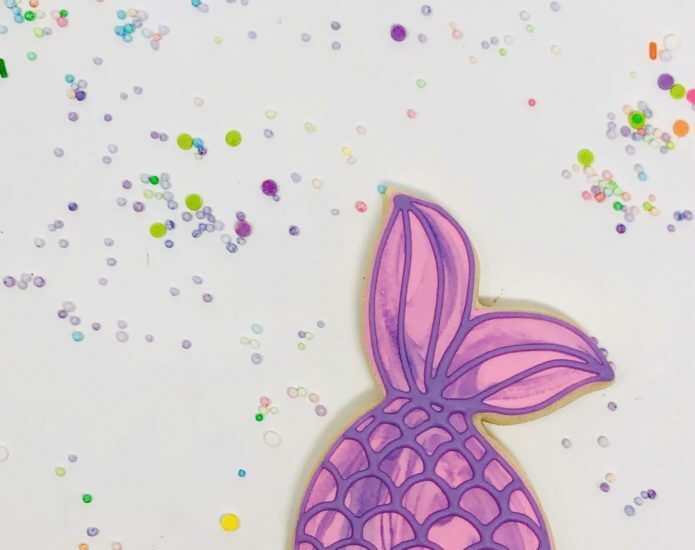 These trendy mermaid party favours are sure to please! Our luxe themed sugar cookies are baked to perfection, hand-decorated by our cookie artists using our specialty icing on round cookies with a scalloped edge, and accented with gold metallic details. Personalize your design with a name for no extra charge. All cookies are individually packaged, heat sealed for freshness and tied with matching ribbon. Make it magical! Celebrate with these trendy unicorn party favours! Our luxe themed sugar cookies are baked to perfection, hand-decorated by our cookie artists using our specialty icing on round cookies with a scalloped edge, and accented with pretty metallic details. Personalize your design with a name for no extra charge. All cookies are individually packaged, heat sealed for freshness and tied with matching ribbon. Whooo’s having a party? 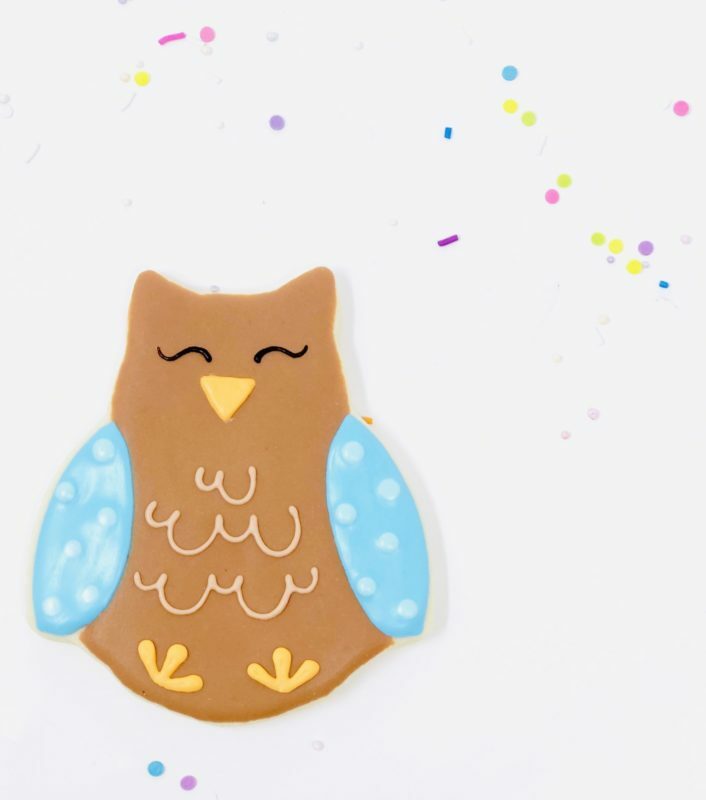 Celebrate with these adorable owl cookie favours. Our luxe themed sugar cookies are baked to perfection, hand-decorated by our cookie artists using our specialty icing on round cookies with a scalloped edge, and accented with pretty metallic details. Personalize your design with a name for no extra charge. All cookies are individually packaged, heat sealed for freshness and tied with matching ribbon. It will be a beautiful bohemian celebration with fox party favours! 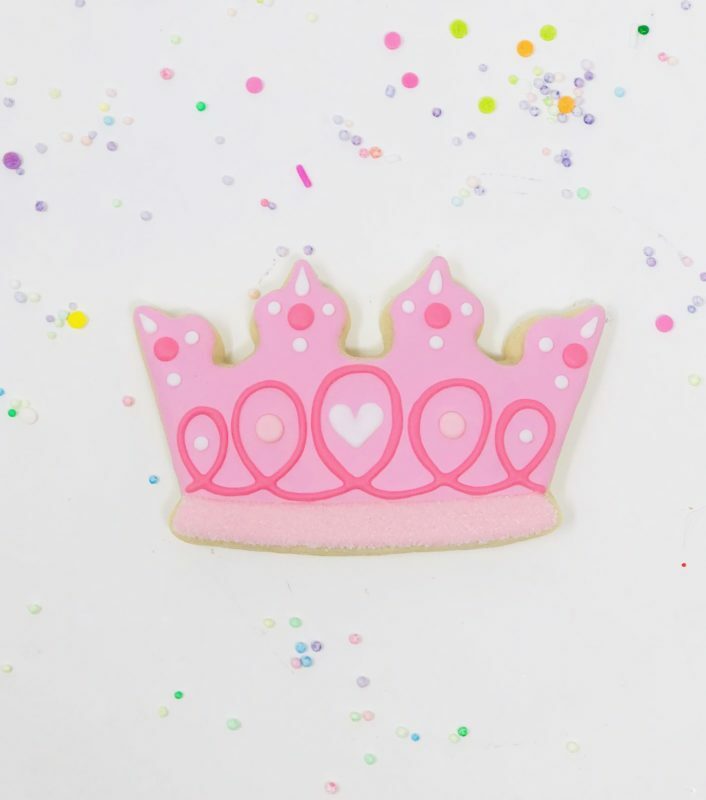 Our luxe themed sugar cookies are baked to perfection, hand-decorated by our cookie artists using our specialty icing on round cookies with a scalloped edge, and accented with pretty metallic details. Personalize your design with a name for no extra charge. All cookies are individually packaged, heat sealed for freshness and tied with matching ribbon. Cute as a button! Your guests will love these adorable baby elephant party favours! Our luxe themed sugar cookies are baked to perfection, hand-decorated by our cookie artists using our specialty icing on round cookies with a scalloped edge, and accented with pretty metallic details. Personalize your design with a name for no extra charge. All cookies are individually packaged, heat sealed for freshness and tied with matching ribbon. Make a splash! 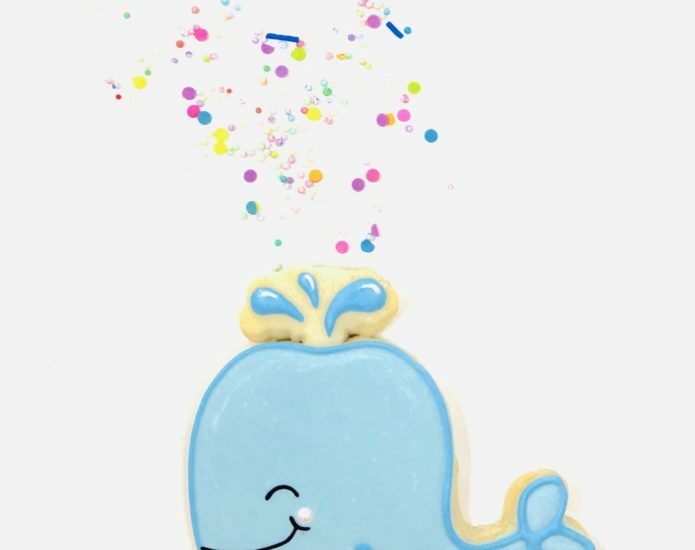 Celebrate with these whimsical whale party favours! Our luxe themed sugar cookies are baked to perfection, hand-decorated by our cookie artists using our specialty icing on round cookies with a scalloped edge, and accented with pretty metallic details. Personalize your design with a name for no extra charge. All cookies are individually packaged, heat sealed for freshness and tied with matching ribbon. Love is in the air! These pretty heart themed favours are perfect for anniversaries, engagement parties, and bridal showers. Our luxe themed sugar cookies are baked to perfection, hand-decorated by our cookie artists using our specialty icing on round cookies with a scalloped edge, and accented with pretty gold metallic details. Personalize your design with 2 names for no extra charge. All cookies are individually packaged, heat sealed for freshness and tied with matching ribbon. Let’s get the party started! 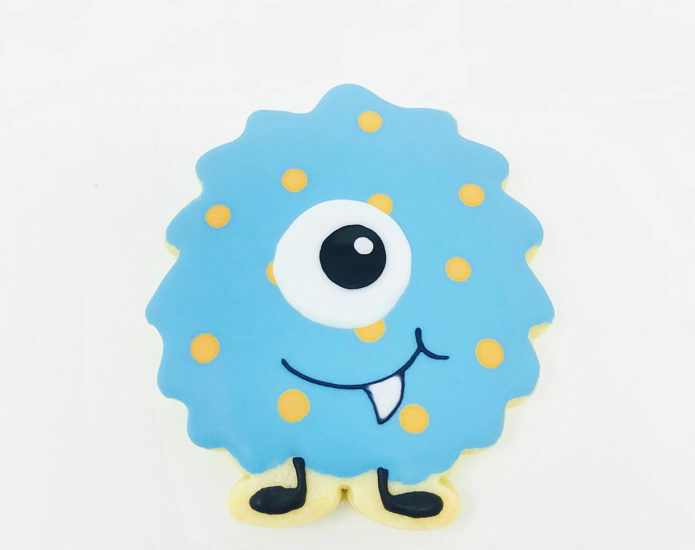 Celebrate with these party themed cookie favours. Our luxe themed sugar cookies are baked to perfection, hand-decorated by our cookie artists using our specialty icing on round cookies with a scalloped edge, and accented with pretty metallic details. Each cookie will include “Happy Birthday”, personalize your design by adding a name for no extra charge. All cookies are individually packaged, heat sealed for freshness and tied with matching ribbon. Celebrate a special religious occasion with these cross cookie favours! Our luxe themed sugar cookies are baked to perfection, hand-decorated by our cookie artists using our specialty icing on round cookies with a scalloped edge, and accented with pretty metallic details. Personalize your design with a name for no extra charge. All cookies are individually packaged, heat sealed for freshness and tied with matching ribbon. Stylish and trendy, these swan party favours are sure to please! Our luxe themed sugar cookies are baked to perfection, hand-decorated by our cookie artists using our specialty icing on round cookies with a scalloped edge, and accented with pretty metallic details. Personalize your design with a name for no extra charge. All cookies are individually packaged, heat sealed for freshness and tied with matching ribbon. Guests will love these baby stroller cookie favours in celebration of the new lil’ one! Our luxe themed sugar cookies are baked to perfection, hand-decorated by our cookie artists using our specialty icing on round cookies with a scalloped edge, and accented with pretty metallic details. Personalize your design with a name or “baby” for no extra charge. All cookies are individually packaged, heat sealed for freshness and tied with matching ribbon. Llama-rama! Guests will love fun and festive party favours! Our luxe themed sugar cookies are baked to perfection, hand-decorated by our cookie artists using our specialty icing on round cookies with a scalloped edge, and accented with pretty metallic details. Personalize your design with a name for no extra charge. All cookies are individually packaged, heat sealed for freshness and tied with matching ribbon. Make a splash! 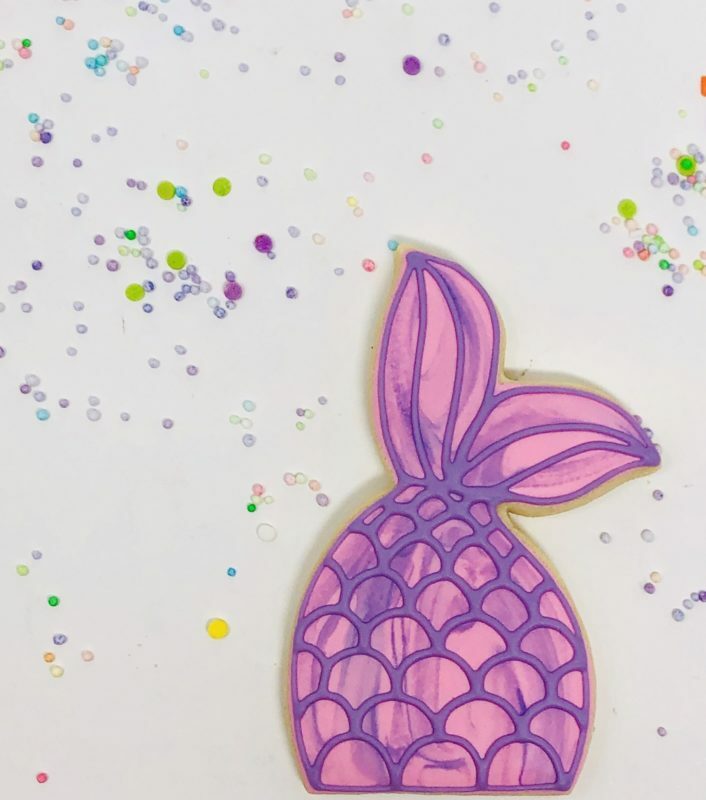 These trendy mermaid party favours are sure to please! Our sugar cookies are baked to perfection and hand-decorated by our cookie artists using our specialty icing on round cookies with a scalloped edge. Personalize your design with a name for no extra charge. All cookies are individually packaged, heat sealed for freshness and tied with matching ribbon. Make it magical! 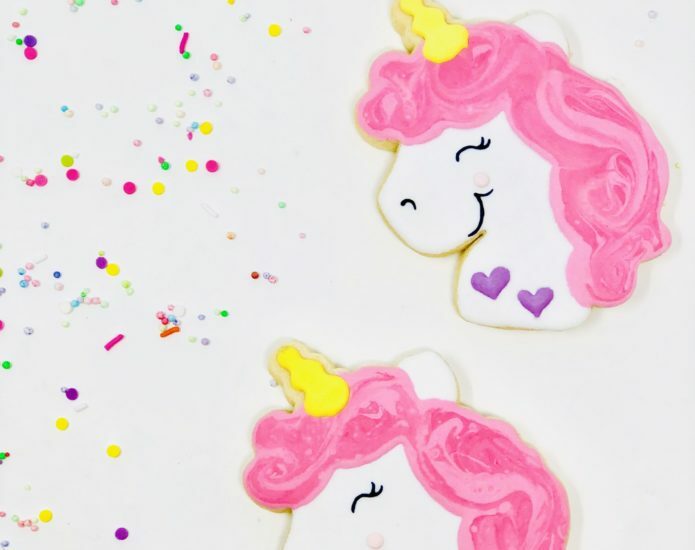 Celebrate with these trendy unicorn party favours! Our sugar cookies are baked to perfection and hand-decorated by our cookie artists using our specialty icing on round cookies with a scalloped edge. Personalize your design with a name for no extra charge. All cookies are individually packaged, heat sealed for freshness and tied with matching ribbon. Whooo’s having a party? 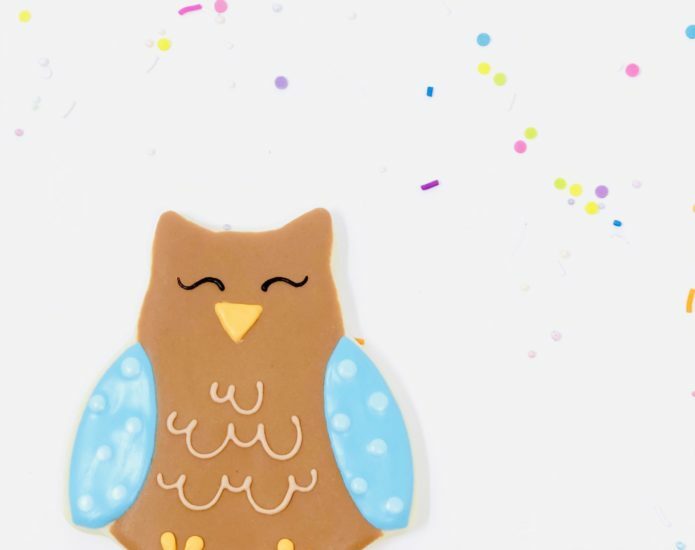 Celebrate with these adorable owl cookie favours. 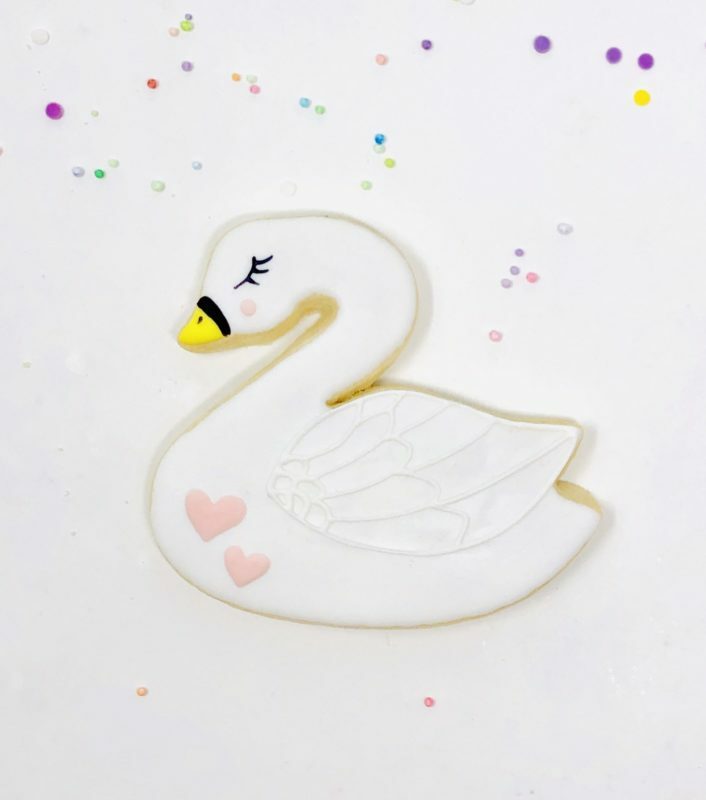 Our sugar cookies are baked to perfection and hand-decorated by our cookie artists using our specialty icing on round cookies with a scalloped edge. Personalize your design with a name for no extra charge. All cookies are individually packaged, heat sealed for freshness and tied with matching ribbon. It will be a beautiful bohemian celebration with fox party favours! 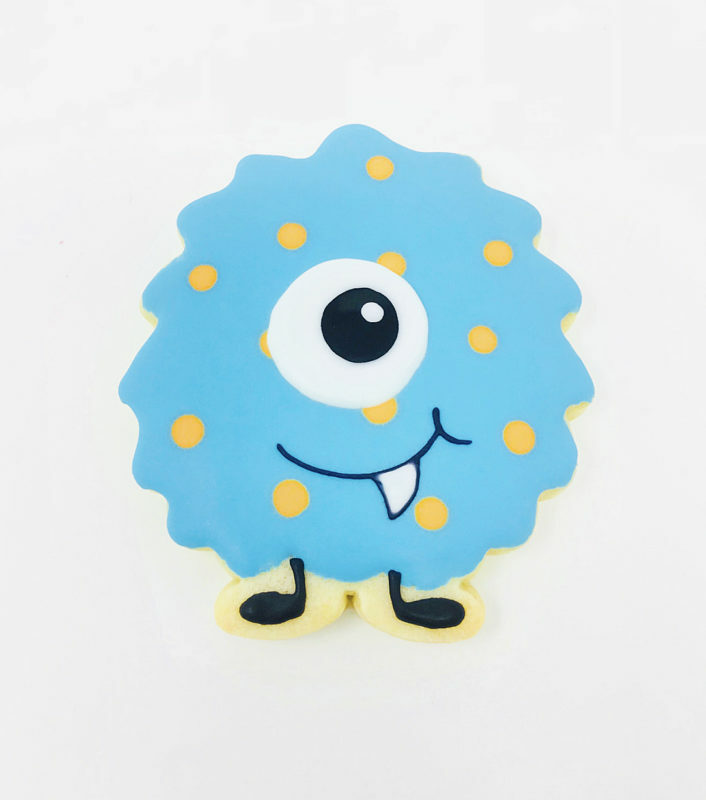 Our sugar cookies are baked to perfection and hand-decorated by our cookie artists using our specialty icing on round cookies with a scalloped edge. Personalize your design with a name for no extra charge. All cookies are individually packaged, heat sealed for freshness and tied with matching ribbon. Cute as a button! 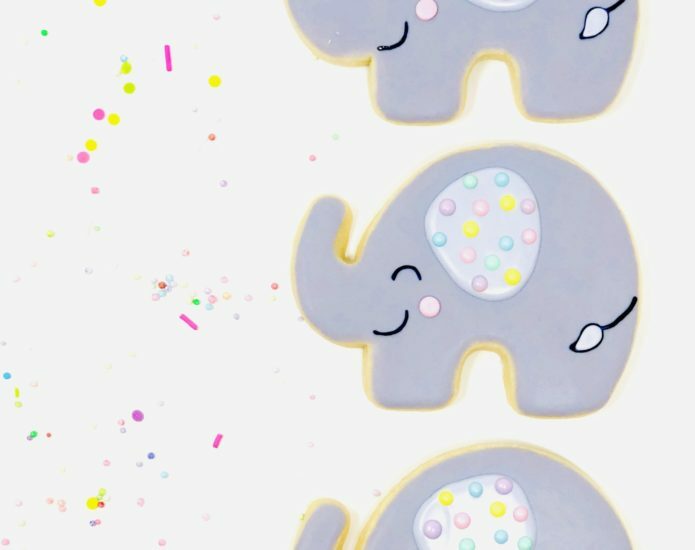 Your guests will love these adorable baby elephant party favours! Our sugar cookies are baked to perfection and hand-decorated by our cookie artists using our specialty icing on round cookies with a scalloped edge. Personalize your design with a name for no extra charge. All cookies are individually packaged, heat sealed for freshness and tied with matching ribbon. Make a splash! 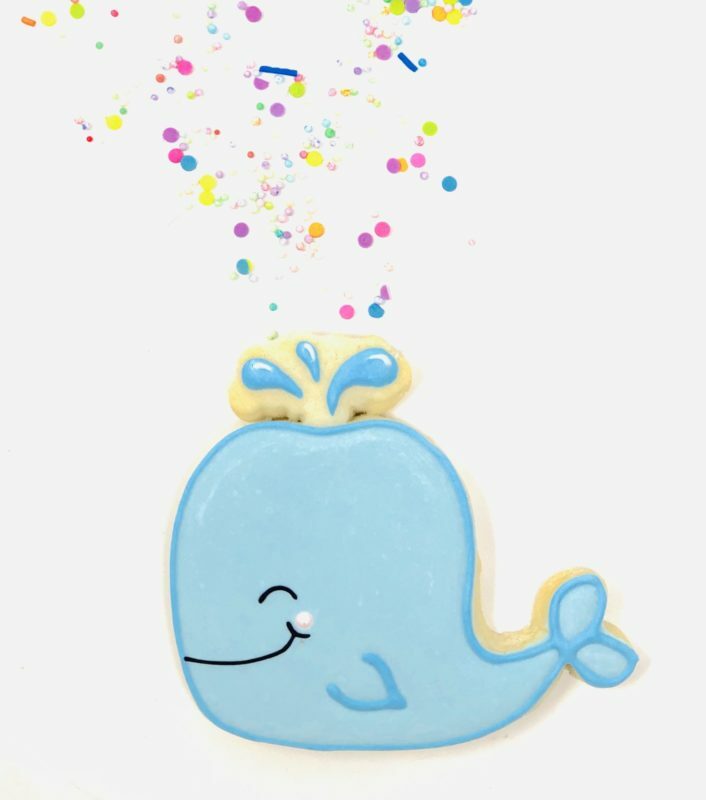 Celebrate with these whimsical whale party favours! Our sugar cookies are baked to perfection and hand-decorated by our cookie artists using our specialty icing on round cookies with a scalloped edge. Personalize your design with a name for no extra charge. All cookies are individually packaged, heat sealed for freshness and tied with matching ribbon. Love is in the air! These heart themed party favours are perfect for anniversaries, engagement parties, and bridal showers. Our sugar cookies are baked to perfection and hand-decorated by our cookie artists using our specialty icing on round cookies with a scalloped edge. Personalize this design with 2 names for no extra charge. All cookies are individually packaged, heat sealed for freshness and tied with matching ribbon. Let’s get the party started! 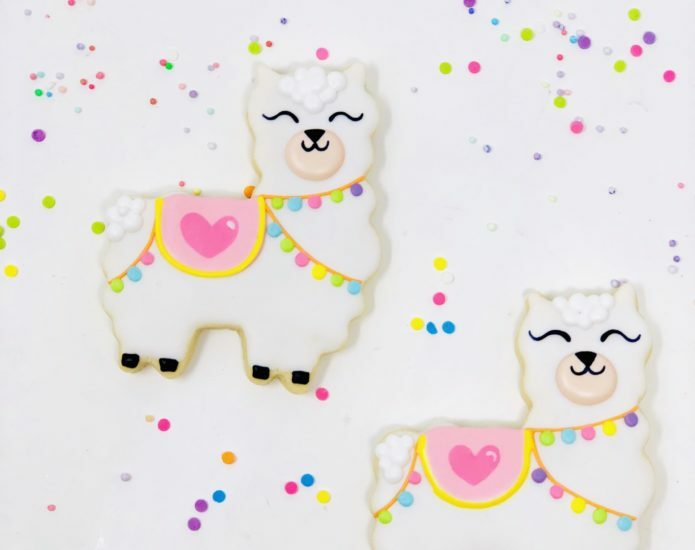 Celebrate with these party themed cookie favours. 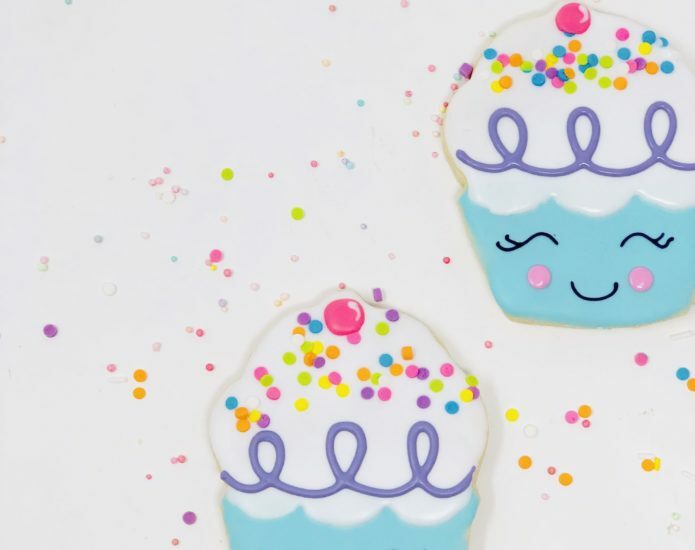 Our sugar cookies are baked to perfection and hand-decorated by our cookie artists using our specialty icing on round cookies with a scalloped edge. Each cookie will include “Happy Birthday”, personalize your design by adding a name for no extra charge. All cookies are individually packaged, heat sealed for freshness and tied with matching ribbon. Celebrate a special religious occasion with these cross cookie favours! 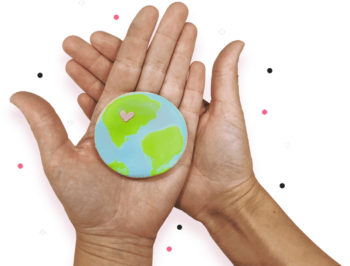 Our sugar cookies are baked to perfection and hand-decorated by our cookie artists using our specialty icing on round cookies with a scalloped edge. Personalize your design with a name for no extra charge. All cookies are individually packaged, heat sealed for freshness and tied with matching ribbon. Stylish and trendy, these swan princess party favours are sure to please! Our sugar cookies are baked to perfection and hand-decorated by our cookie artists using our specialty icing on round cookies with a scalloped edge. Personalize your design with a name for no extra charge. All cookies are individually packaged, heat sealed for freshness and tied with matching ribbon. 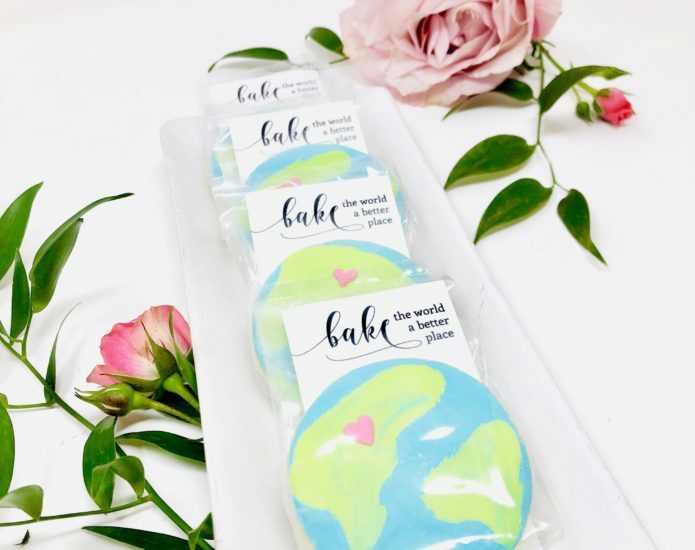 Guests will love these baby stroller cookie favours in celebration of the new lil’ one! Our sugar cookies are baked to perfection and hand-decorated by our cookie artists using our specialty icing on round cookies with a scalloped edge. Personalize your design with a name or “baby” for no extra charge. All cookies are individually packaged, heat sealed for freshness and tied with matching ribbon. It will be a big WIN for guests to receive these soccer party favours! Our sugar cookies are baked to perfection and hand-decorated by our cookie artists using our specialty icing on round cookies with a scalloped edge. Personalize your design with a name for no extra charge. All cookies are individually packaged, heat sealed for freshness and tied with matching ribbon. Little princesses will love these pretty party favours! Our sugar cookies are baked to perfection and hand-decorated by our cookie artists using our specialty icing on round cookies with a scalloped edge. Personalize your design with a name for no extra charge. All cookies are individually packaged, heat sealed for freshness and tied with matching ribbon. Meow! Guests will devours these purrrfect party favours! 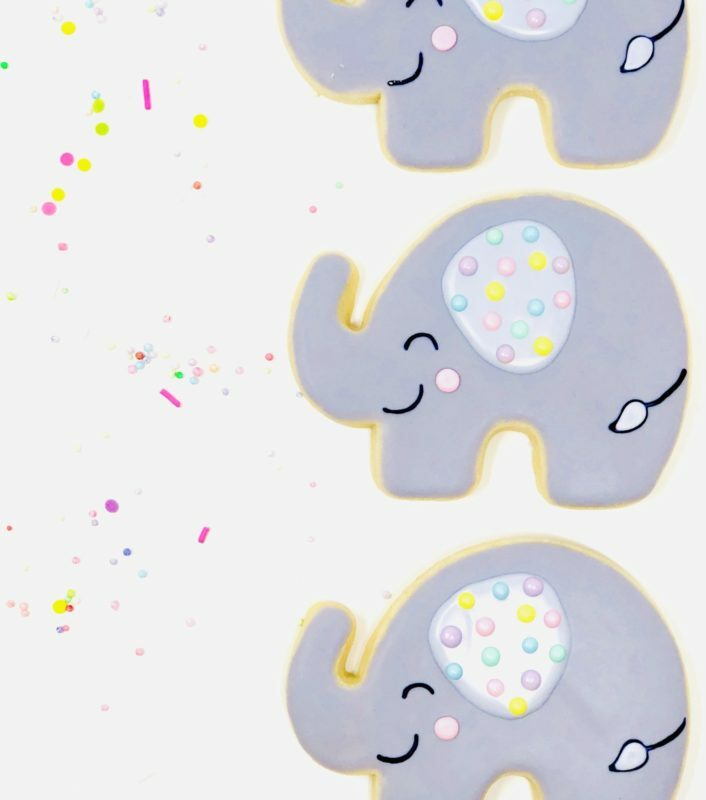 Our sugar cookies are baked to perfection and hand-decorated by our cookie artists using our specialty icing on round cookies with a scalloped edge. Personalize your design with a name for no extra charge. All cookies are individually packaged, heat sealed for freshness and tied with matching ribbon. Aloha! Take your party to the islands with these tropical pineapple party favours! Our sugar cookies are baked to perfection and hand-decorated by our cookie artists using our specialty icing on round cookies with a scalloped edge. Personalize your design with a name for no extra charge. All cookies are individually packaged, heat sealed for freshness and tied with matching ribbon. I pick you! 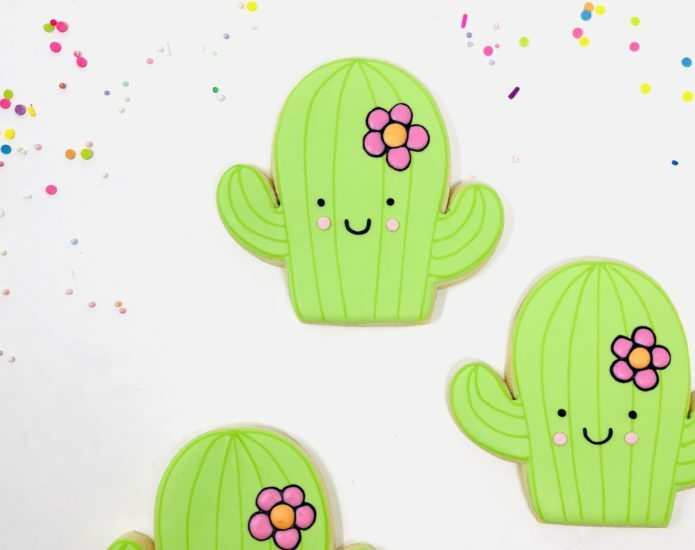 Guests will love these trendy cactus party favours! Our sugar cookies are baked to perfection and hand-decorated by our cookie artists using our specialty icing on round cookies with a scalloped edge. Personalize your design with a name for no extra charge. All cookies are individually packaged, heat sealed for freshness and tied with matching ribbon. Boo! More fun than they are scary, these monster party favours are sure to make your party guests smile! Our sugar cookies are baked to perfection and hand-decorated by our cookie artists using our specialty icing on round cookies with a scalloped edge. Personalize your design with a name for no extra charge. All cookies are individually packaged, heat sealed for freshness and tied with matching ribbon. Nothing is sweeter than these adorable cupcake party favours! Our sugar cookies are baked to perfection and hand-decorated by our cookie artists using our specialty icing on round cookies with a scalloped edge. Personalize your design with a name for no extra charge. All cookies are individually packaged, heat sealed for freshness and tied with matching ribbon. Holy moly! 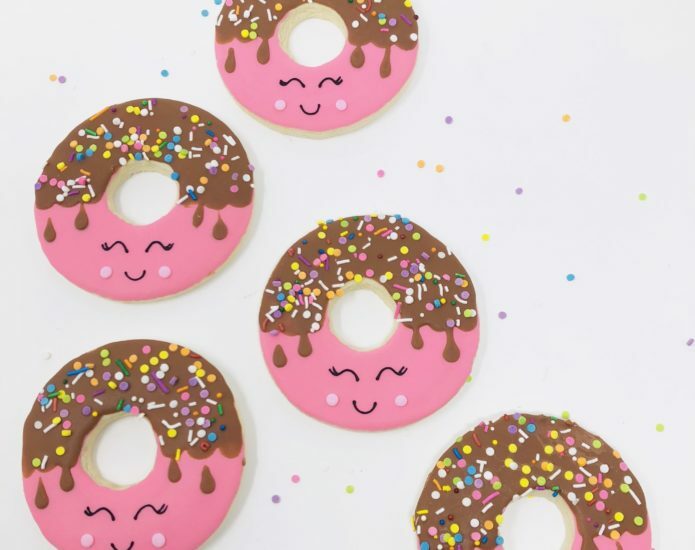 Guests will love these doughnut party favours! Our sugar cookies are baked to perfection and hand-decorated by our cookie artists using our specialty icing on round cookies with a scalloped edge. Personalize your design with a name for no extra charge. All cookies are individually packaged, heat sealed for freshness and tied with matching ribbon. Blast off! 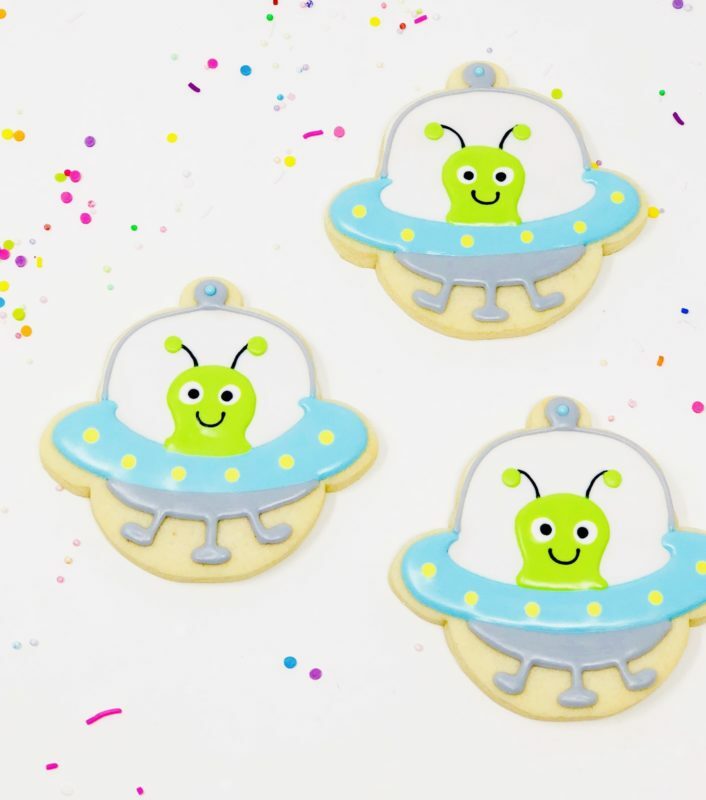 These alien party favours are out of this world! Our sugar cookies are baked to perfection and hand-decorated by our cookie artists using our specialty icing on round cookies with a scalloped edge. Personalize your design with a name for no extra charge. All cookies are individually packaged, heat sealed for freshness and tied with matching ribbon. Who let the dogs out! These cookie favours are perfect for any dog lover! Our sugar cookies are baked to perfection and hand-decorated by our cookie artists using our specialty icing on round cookies with a scalloped edge. Personalize your design with a name for no extra charge. All cookies are individually packaged, heat sealed for freshness and tied with matching ribbon. Pretty in pink! These tropical trendy flamingo party favours are sure to be a hit! Our sugar cookies are baked to perfection and hand-decorated by our cookie artists using our specialty icing on round cookies with a scalloped edge. Personalize your design with a name for no extra charge. All cookies are individually packaged, heat sealed for freshness and tied with matching ribbon. Gone fishin’! 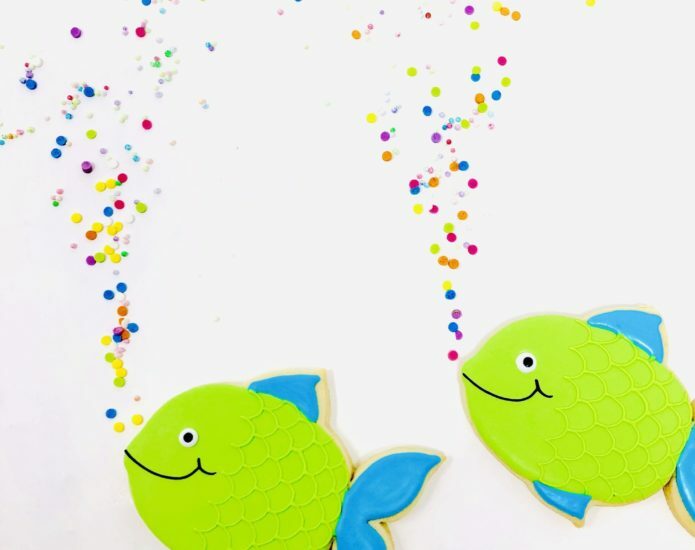 These fishing cookie favours will be a great catch for your party guests. 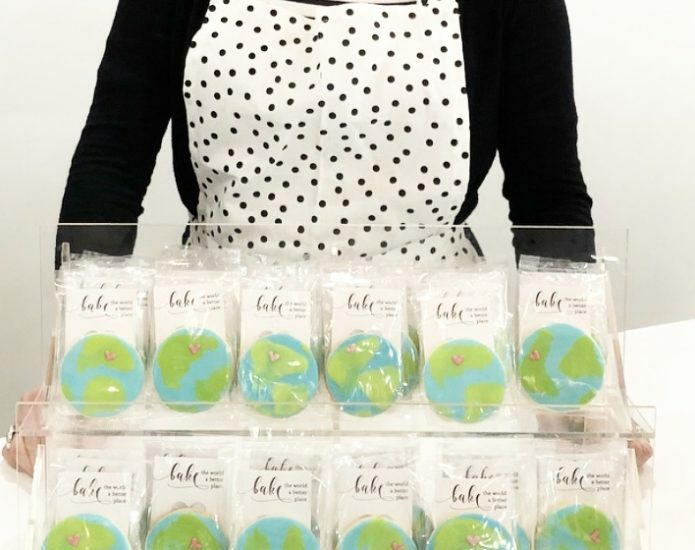 Our sugar cookies are baked to perfection and hand-decorated by our cookie artists using our specialty icing on round cookies with a scalloped edge. Personalize your design with a name for no extra charge. All cookies are individually packaged, heat sealed for freshness and tied with matching ribbon. Shoot and score! 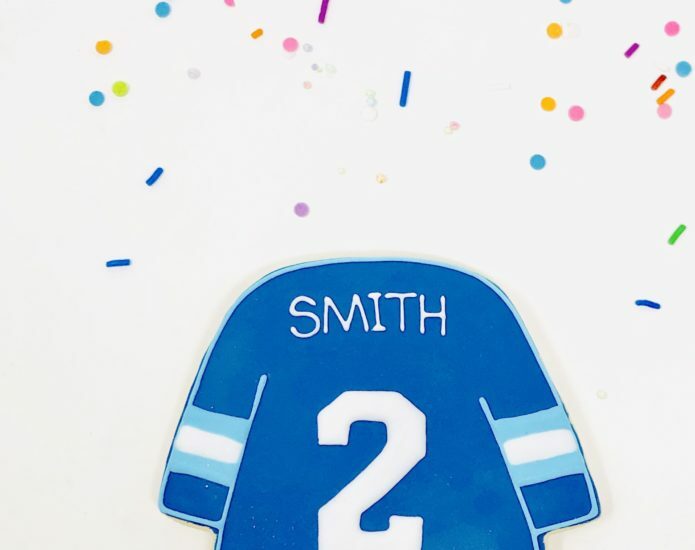 These hockey cookies will be a big WIN with party guests. Our sugar cookies are baked to perfection and hand-decorated by our cookie artists using our specialty icing on round cookies with a scalloped edge. Personalize your design with a name for no extra charge. All cookies are individually packaged, heat sealed for freshness and tied with matching ribbon. So cooool! 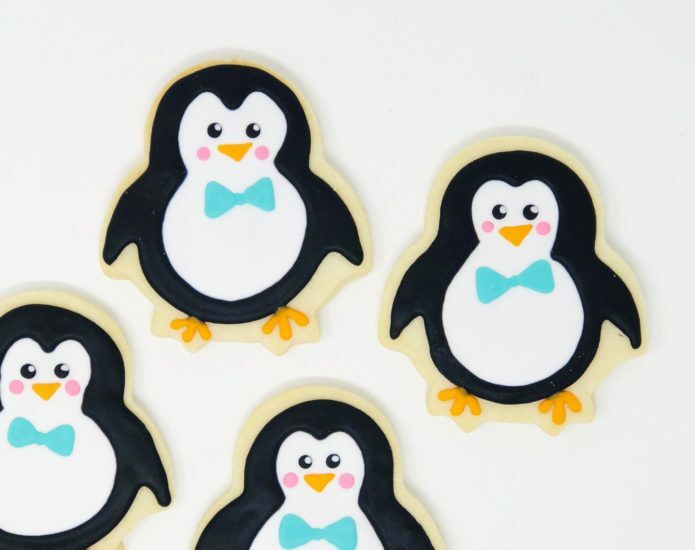 These whimsical penguin cookies are sure to be hit with party guests. Our sugar cookies are baked to perfection and hand-decorated by our cookie artists using our specialty icing on round cookies with a scalloped edge. Personalize your design with a name for no extra charge. All cookies are individually packaged, heat sealed for freshness and tied with matching ribbon. Llama-rama! Guests will love these fun and festive party favours! Our sugar cookies are baked to perfection and hand-decorated by our cookie artists using our specialty icing on round cookies with a scalloped edge. Personalize your design with a name for no extra charge. All cookies are individually packaged, heat sealed for freshness and tied with matching ribbon. Shoot and score! 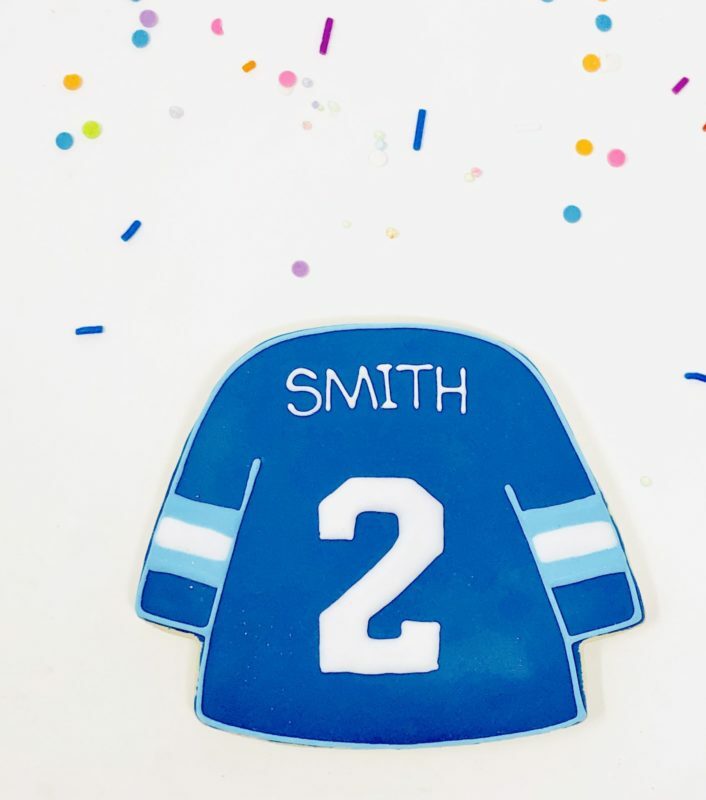 These hockey jersey cookies will be a big WIN with party guests. Our sugar cookies are baked to perfection and hand-decorated by our cookie artists using our specialty icing. Blue jerseys will be personalized with last name and number at no extra charge. All cookies are individually packaged, heat sealed for freshness and tied with ribbon. All you need is love! Love, and these heart shaped party favours! Perfect for engagement parties, anniversaries, and bridal showers! Our sugar cookies are baked to perfection and hand-decorated by our cookie artists using our specialty icing. Personalize your design with names at no extra charge. All cookies are individually packaged, heat sealed for freshness and tied with ribbon. Let’s party! 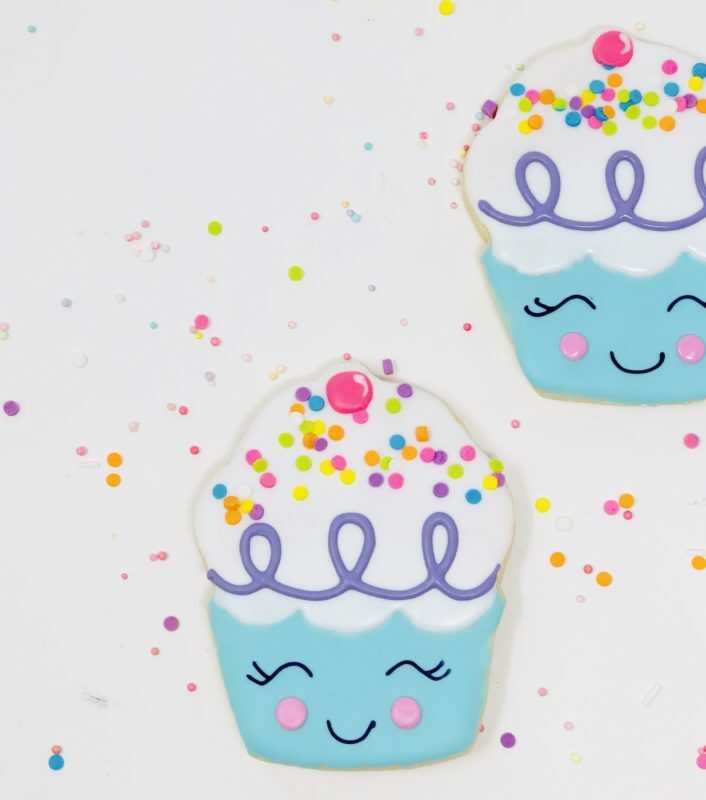 Celebrate with cake and these pretty cookie favours! Our sugar cookies are baked to perfection and hand-decorated by our cookie artists using our specialty icing. Personalize your design with a name at no extra charge. All cookies are individually packaged, heat sealed for freshness and tied with ribbon. Make a splash! These trendy mermaid tail party favours are sure to please! Our sugar cookies are baked to perfection and hand-decorated by our cookie artists using our specialty icing. All cookies are individually packaged, heat sealed for freshness and tied with ribbon. Make it magical! 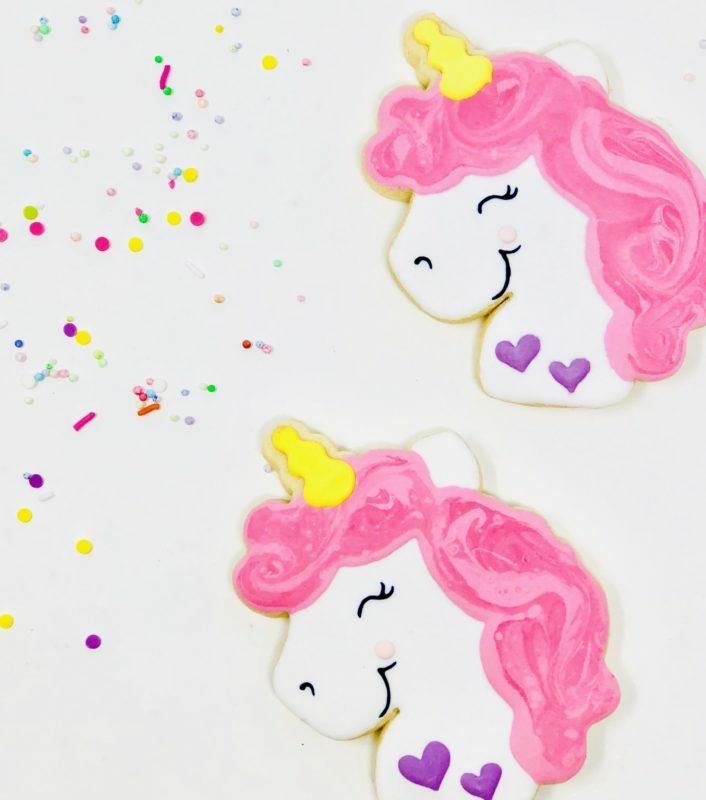 Celebrate with these trendy unicorn party favours! Our sugar cookies are baked to perfection and hand-decorated by our cookie artists using our specialty icing. All cookies are individually packaged, heat sealed for freshness and tied with ribbon. Whooo’s having a party? Celebrate with these adorable owl cookie favours! Our sugar cookies are baked to perfection and hand-decorated by our cookie artists using our specialty icing. All cookies are individually packaged, heat sealed for freshness and tied with ribbon. Hey foxy! 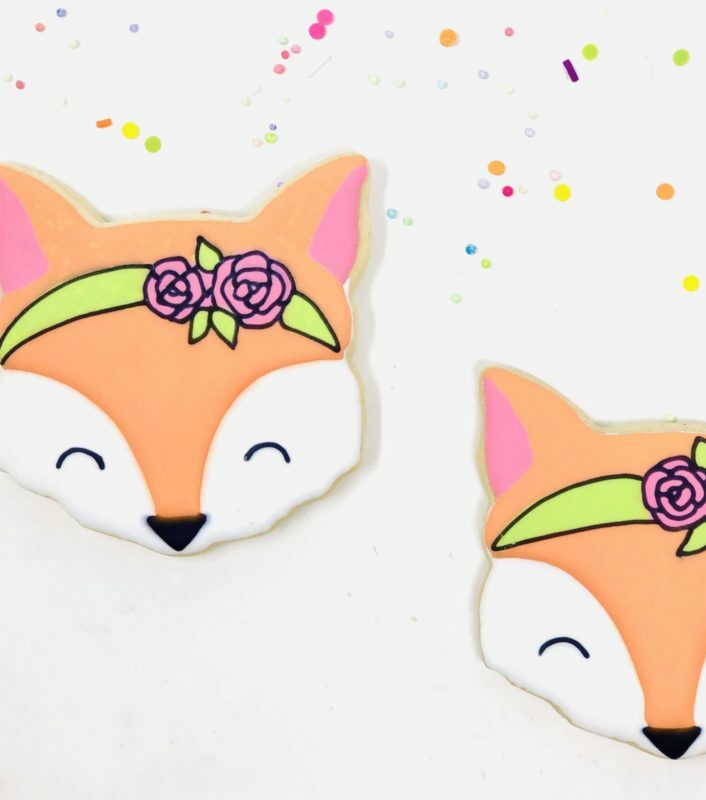 It will be a beautiful bohemian celebration with these fox party favours! Our sugar cookies are baked to perfection and hand-decorated by our cookie artists using our specialty icing. All cookies are individually packaged, heat sealed for freshness and tied with ribbon. Cute as a button! Make a sweet impression with adorable baby elephant party favours! Our sugar cookies are baked to perfection and hand-decorated by our cookie artists using our specialty icing. All cookies are individually packaged, heat sealed for freshness and tied with ribbon. Make a splash! Celebrate with these whimsical whale party favours! Our sugar cookies are baked to perfection and hand-decorated by our cookie artists using our specialty icing. All cookies are individually packaged, heat sealed for freshness and tied with ribbon. Blessings! Any religious celebration will be extra special with these cross cookie favours! Our sugar cookies are baked to perfection and hand-decorated by our cookie artists using our specialty icing. All cookies are individually packaged, heat sealed for freshness and tied with ribbon. Stylish and trendy! 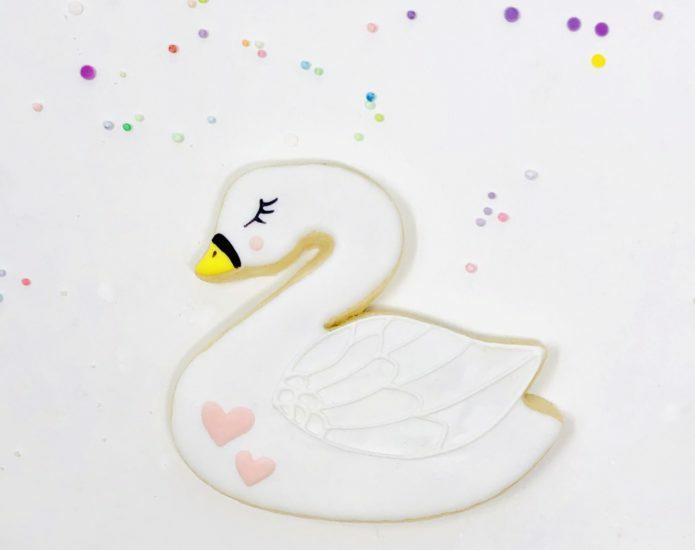 Pretty swan party favours are sure to please! Our sugar cookies are baked to perfection and hand-decorated by our cookie artists using our specialty icing. All cookies are individually packaged, heat sealed for freshness and tied with ribbon. Oh baby! Guests will love these pink onesie cookie favours in celebration of the new lil’ one! Our sugar cookies are baked to perfection and hand-decorated by our cookie artists using our specialty icing. Personalize your cookies with a name or “baby” for no extra charge. All cookies are individually packaged, heat sealed for freshness and tied with ribbon. Oh baby! Guests will love these blue onesie cookie favours in celebration of the new lil’ one! Our sugar cookies are baked to perfection and hand-decorated by our cookie artists using our specialty icing. Personalize your cookies with a name or “baby” for no extra charge. All cookies are individually packaged, heat sealed for freshness and tied with ribbon. Kick it! It will be a big WIN for guests to receive these soccer party favours! Our sugar cookies are baked to perfection and hand-decorated by our cookie artists using our specialty icing. All cookies are individually packaged, heat sealed for freshness and tied with ribbon. Royalty! 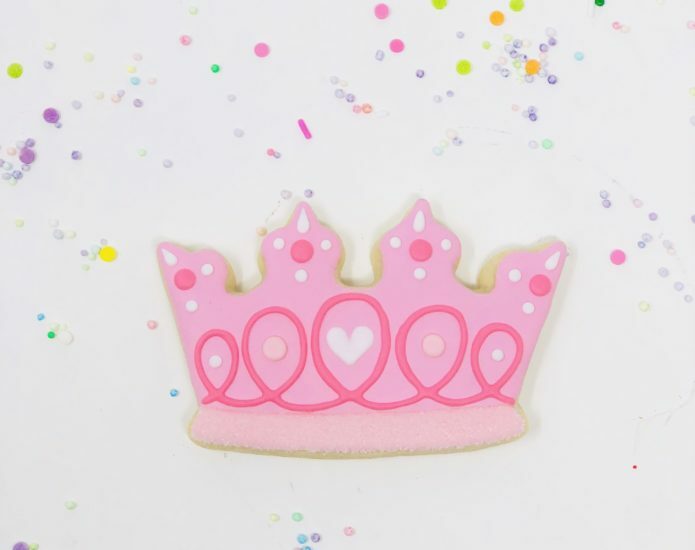 Your little princess will love these crown party favours! Our sugar cookies are baked to perfection and hand-decorated by our cookie artists using our specialty icing. All cookies are individually packaged, heat sealed for freshness and tied with ribbon. Meow! Guests will devours these purrrfect party favours! Our sugar cookies are baked to perfection and hand-decorated by our cookie artists using our specialty icing. All cookies are individually packaged, heat sealed for freshness and tied with ribbon. Aloha! Take your party to the islands with these tropical pineapple party favours! Our sugar cookies are baked to perfection and hand-decorated by our cookie artists using our specialty icing. All cookies are individually packaged, heat sealed for freshness and tied with ribbon. I pick you! 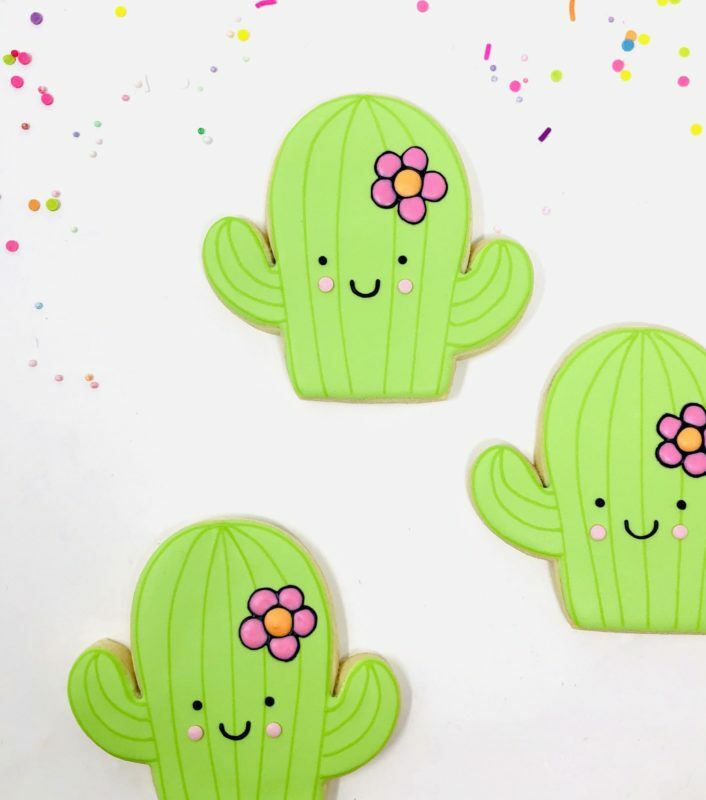 Guests will love these trendy cactus favours! Our sugar cookies are baked to perfection and hand-decorated by our cookie artists using our specialty icing. All cookies are individually packaged, heat sealed for freshness and tied with ribbon. Boo! More fun than they are scary, these monster party favours are sure to make your party guests smile! Our sugar cookies are baked to perfection and hand-decorated by our cookie artists using our specialty icing. All cookies are individually packaged, heat sealed for freshness and tied with ribbon. Hello cupcake! Nothing is sweeter than these adorable cupcake party favours! Our sugar cookies are baked to perfection and hand-decorated by our cookie artists using our specialty icing. All cookies are individually packaged, heat sealed for freshness and tied with ribbon. Holy moly! 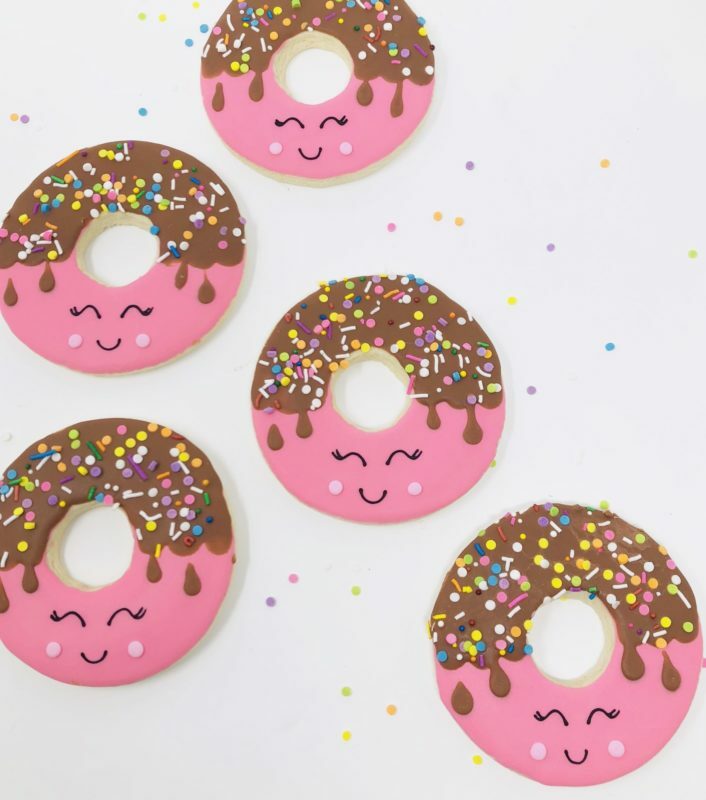 Guests will love these doughnut party favours! Our sugar cookies are baked to perfection and hand-decorated by our cookie artists using our specialty icing. All cookies are individually packaged, heat sealed for freshness and tied with ribbon. Blast off! 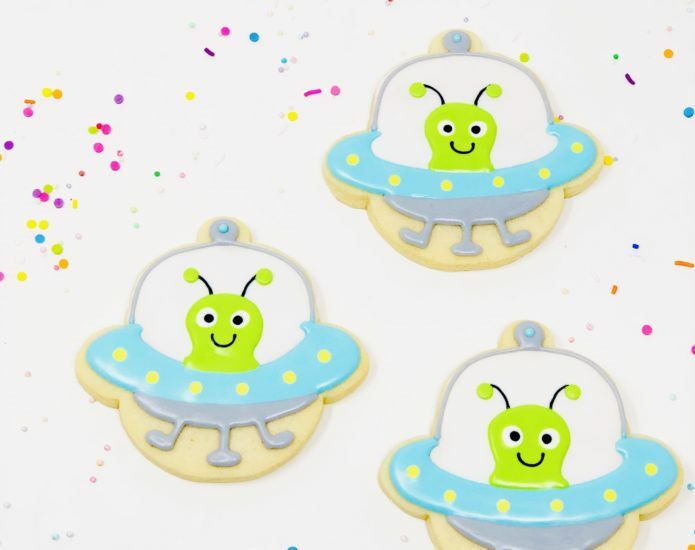 These alien party favours are out of this world! Our sugar cookies are baked to perfection and hand-decorated by our cookie artists using our specialty icing. All cookies are individually packaged, heat sealed for freshness and tied with ribbon. Who let the dogs out?! 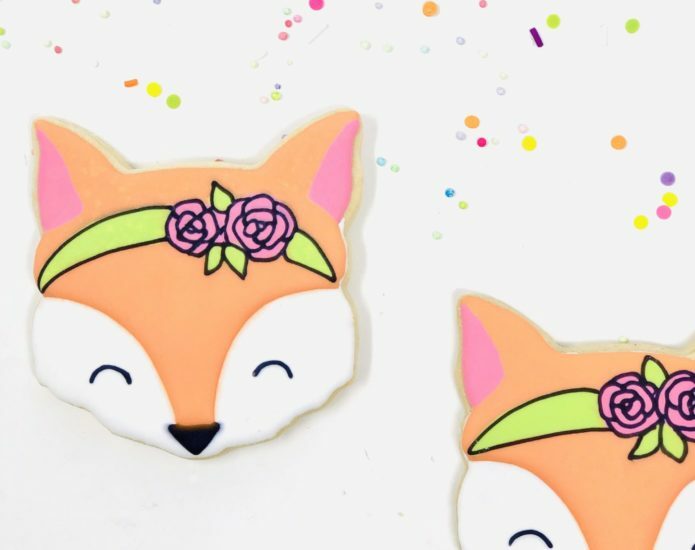 These cookie favours are perfect for any dog lover! Our sugar cookies are baked to perfection and hand-decorated by our cookie artists using our specialty icing. All cookies are individually packaged, heat sealed for freshness and tied with ribbon. Pretty in pink! These tropical trendy flamingo party favours are sure to be a hit! Our sugar cookies are baked to perfection and hand-decorated by our cookie artists using our specialty icing. All cookies are individually packaged, heat sealed for freshness and tied with ribbon. Gone fishin’! 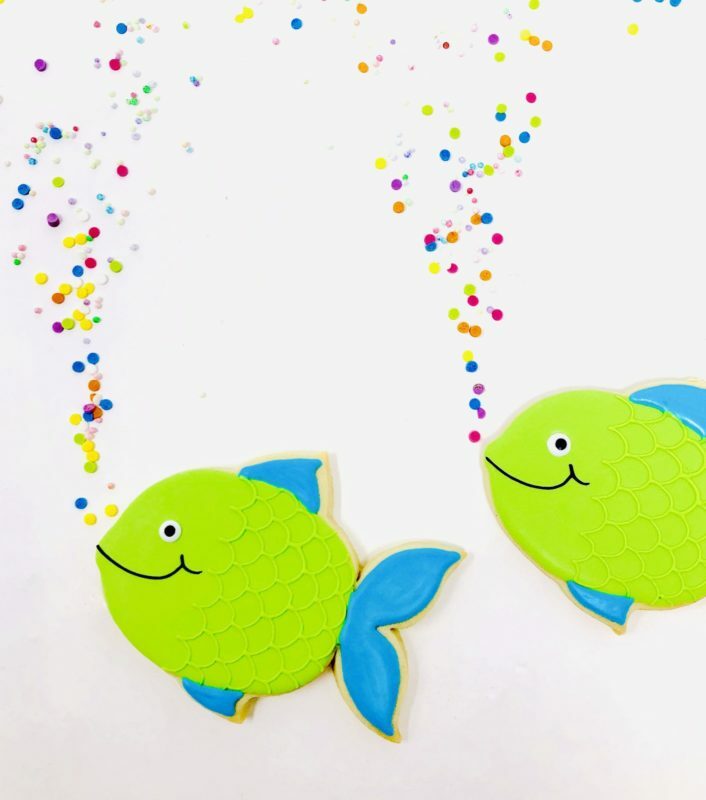 These fish cookie favours will be a great catch for your party guests. Our sugar cookies are baked to perfection and hand-decorated by our cookie artists using our specialty icing. All cookies are individually packaged, heat sealed for freshness and tied with ribbon. So cooool! 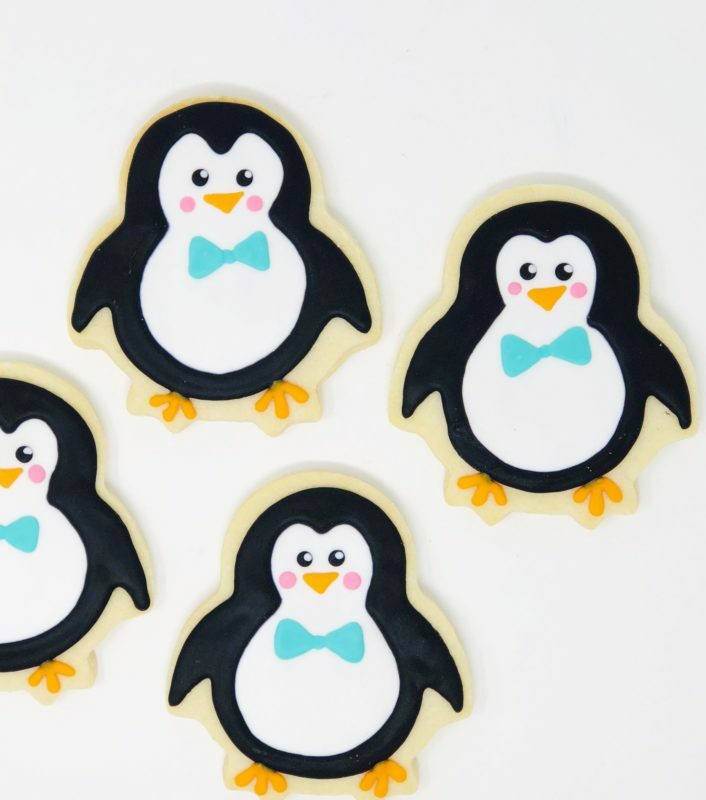 These whimsical penguin cookies are sure to be hit with party guests! Our sugar cookies are baked to perfection and hand-decorated by our cookie artists using our specialty icing. All cookies are individually packaged, heat sealed for freshness and tied with ribbon. Llama-rama! 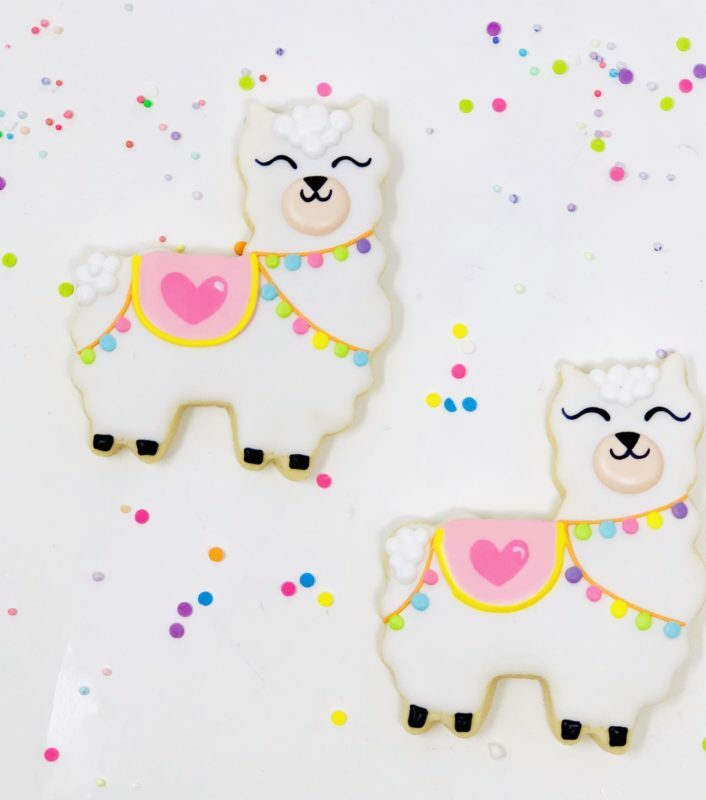 Fun and trendy llama cookies are sure to be hit with party guests. Our sugar cookies are baked to perfection and hand-decorated by our cookie artists using our specialty icing. All cookies are individually packaged, heat sealed for freshness and tied with ribbon. Everyone loves cookies made from scratch! 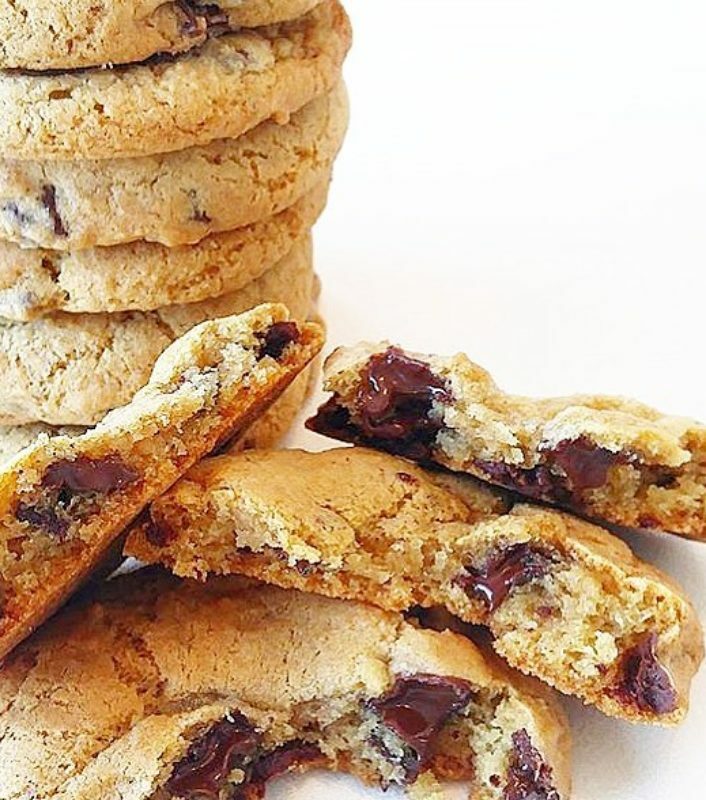 Each yummy cookie is rolled by hand and baked to be perfectly imperfect. A sweet collection of hand-decorated birthday themed cookies, packaged in a pretty box ready for gift giving! Oh yes please! Two homemade cookies sandwiched together with icing and a homemade filling. 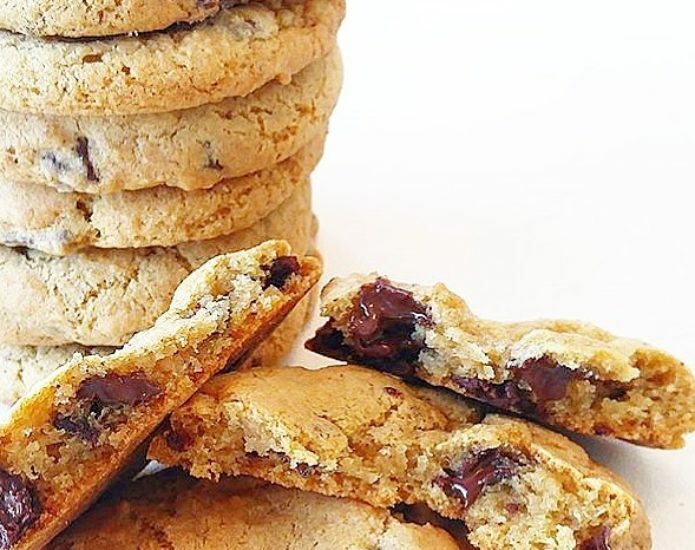 Each yummy cookie is rolled by hand and is perfectly imperfect. Sprinkle happiness! Homemade vanilla and chocolate sugar cookies baked with our signature rainbow sprinkle mix. These cookies are a favourite with the kiddos! Giving feels good! 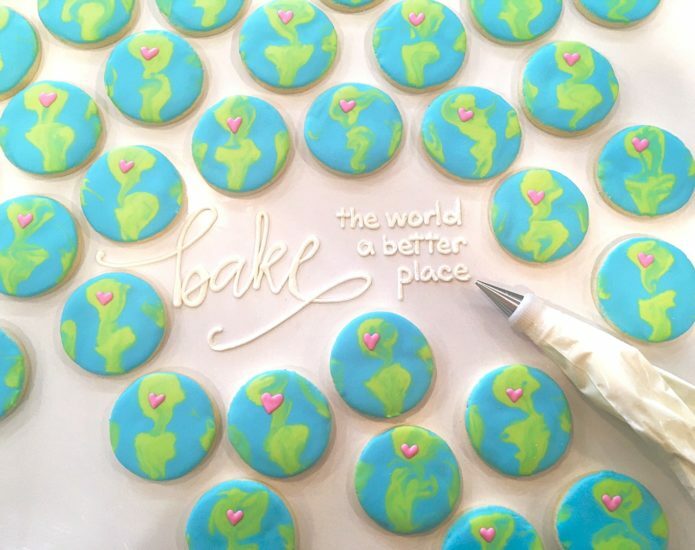 For every ‘Bake The World A Better Place’ cookie sold, 100% of the proceeds go directly to support local Winnipeg charities. 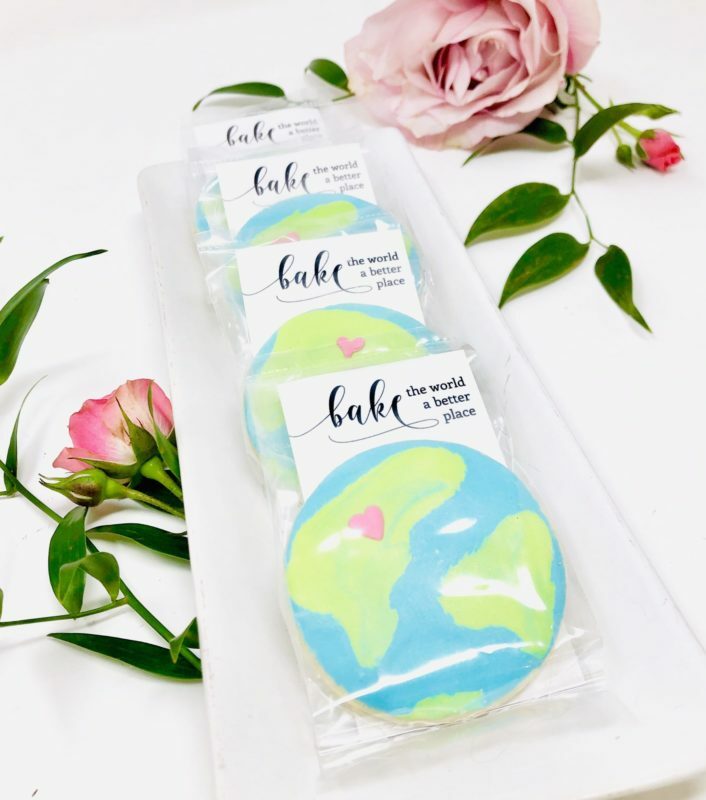 This mini ‘world’ sugar cookie is baked to perfection and hand decorated by our cookie artists using our specialty icing. All cookies are individually packaged, heat sealed for freshness and include an information card insert. Let Us Bring the Goodies to You.